That’s according to a report from AlphaBeta Advisors, commissioned by CSIRO’s Data61 group, and launched at an event in Brisbane this morning. But to achieve the economic boost, the country needs to take action immediately, said Data61 CEO Adrian Turner. “This next digital wave to revolutionise existing industries and create entirely new ones is ours to capture. But the opportunity is perishable if we don’t collectively take action now,” Turner told the Data61+LIVE event audience. “It’s the most important conversation this country needs to have. We need to start a collective movement to change the trajectory of Australia,” he added. While Australia has had economic growth for some time, much of it thanks to digital innovation, future prosperity is at stake, the report explains. The country is beginning to seriously lag compared with other OECD nations. According to the report, Australia has captured a third less value than its advanced economy peers: the total economic value derived from digital innovation in Australia represents 7.4 per cent of the country’s total GDP over the last 20 years. The percentage figure for other advanced economies is 11.2 per cent of GDP. Nor has the country managed to grow strong digital industries domestically, the report adds. IT, for example, makes up a very small share of the domestic market. The $315 billion figure assumes Australia can match the performance of other advanced economies. "This assumes that Australia progressively closes the gap to other advanced economies in developing its digital economy over the next decade. To do this, Australia will need to increase the accumulation of digital capital and application of digital technology to drive up productivity, and capture new digital markets," the report states. Australia’s strongest opportunities will come from focused R&D investments and applying digital innovation to existing industry strengths. Turner listed the fields where gains can be made, namely; precision healthcare, digital agriculture, data-driven urban management, cyber-physical security, supply chain integrity, proactive government, legal informatics, and smart exploration and production. “Progressive data-driven organisations are investing in four core areas to realise value from data; data capture, management, analysis and taking action with it. Combining this data with domain expertise, in areas like healthcare, agriculture and mining, is where we can create an unfair advantage,” Turner said. The situation is a serious one, Turner said, and the nation is at a "fork in the road". "I don’t want to be alarmist," he said, "if we don’t solve this we will not enjoy the quality of life we do today." Data61 today launched a 'national digital challenges' program, which is designed to facilitate stronger collaboration between research, government and industry to work on "strategic and national data-driven challenges to accelerate large scale outcomes". The first challenge is focussed on food provenance and supply chain traceability, with NSW Department of Primary Industries, GS1, Austrade among the challenge's partners. The aim is to ensure product integrity and minimise food fraud for cherries, rock lobsters, abalone and citrus. Food provenance was identified in the Digital Innovation report as a critical problem and threat to Australia’s economic growth with food fraud costing Australia $65 billion per year due to counterfeiting produce. 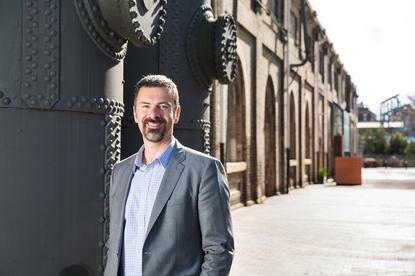 “As part of Australia’s national science agency, we have access to proven domain expertise and combine it with Data61’s deep data science and engineering excellence to deliver digital innovations that are large scale and globally relevant,” Turner said.